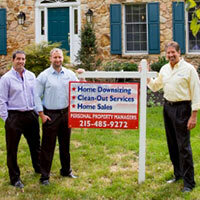 Are you in the process of buying a home or investment property Eastern Pennsylvania or New Jersey? Do you need work done on your property and just don't know where to turn or who to call? Are you looking for a one call solution to handle all of your buyer needs? We are licensed Realtors via EveryHome Realty, RS308044 and provide full service discount real estate services. We are an award winning 2019 best in class company with program that at tailored to meet your individual needs. We are your one-stop, single-source-resource for all of your home, real estate transiton services and investment property needs. We'll help you find the home of your dreams and help you sell your existing property to help finance your new home purchase. We look forward to making your life and property easier to manage. Projects large or small ... with PPM... one call does it all. Click here to learn more from our BLOG or to send us your comments. Click here for TIPS AND INSIGHTS. Click here for Personal Property Managers NEWS STORY. As licensed realtors we can assist you in the purchase of your new property and customize our search to meet your specific needes. 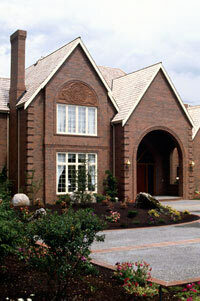 We provide a complete one-call solution to handle all your home, investment property or commercial property needs. Personal Property Managers is mindful of the budgetary reality of managing property upgrades should you need work done on your new property purchase. Our Property Buyers Service, can allow you the convenience of having us on-site conducting property inspections, and digitally reporting them to you without the high cost of hiring full-time help. We believe that the key to our success is in the personal relationships that we have developed with our customers. We are here to serve you. Our services are designed to protect the value of your property and provide you with peace-of-mind and more time to do the things that you enjoy. Let us help you take care of the things that you just don't have the time to do. We are home, investment and commercial property management specialists, focusing on homes and property in New Jersey and Pennsylvania. Our combination of technology and on-site personnel, allows us to be there when you cannot. Through our use of Internet technology, we can document and report the progress of your work along with any major renovations or repairs. You can see the progress of your work from anywhere in the world via our exclusive Internet access. You will be given special remote access to online messages and digital photo's of your property and any needed work or repairs. Imagine how comfortable you will feel seeing the on-line progress of your home, investment property or commercial property, while you are tending to other important activities or off traveling. Now you can relax and leave the details to us.